Flurry provides analytics tools for helping publishers see how their apps are used. Flurry provides tools that help developers and publishers learn more about who's using their apps in order to better target them with ads. The information, including gender, age and location, helps Flurry play digital matchmaker between publishers and advertisers. The technology can be used to place banner, full-screen and video ads. The San Francisco-based company says it receives data from over 540,000 apps on 1.4 billion devices worldwide. Apps that use its technology include Skype, Pinterest and the BBC's news app, the company says. Flurry could help Yahoo make more money from its growing lineup of mobile apps, potentially allowing it to better target ads and offer more personalized features. "When completed, our acquisition of Flurry will be a meaningful step for the company and reinforces our commitment to building and supporting useful, inspiring and beautiful mobile applications and monetization solutions," said Scott Burke, Yahoo's senior VP of advertising technology, in a blog post. 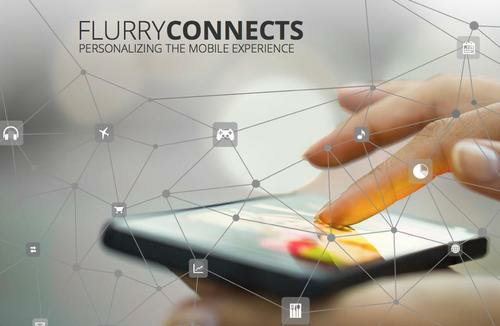 He said Flurry's technology helps brands better reach their audiences, providing data on both the desktop and mobile use. Yahoo didn't disclose the terms of the deal, though a report on the tech news site Re/code put the value at "hundreds of millions" of dollars. Flurry's team will remain in San Francisco, Yahoo said, and its products will "continue to serve the application developer community." Yahoo CEO Marissa Mayer has been focused on turning Yahoo around and growing its business since she took over as CEO in 2012. Mobile has been her main focus, with new or redesigned apps like Yahoo News Digest, Mail and Flickr released over the past year. Mobile has not been a strong sales driver for Yahoo, but that could be beginning to change. Last week, during the company's second-quarter sales call, mobile was described as being "meaningful" to Yahoo's bottom line -- a change from "not material" in previous quarters. Yahoo's total sales were still down by 4 percent. "We will work to make our tools, targeting and processes more efficient at showing the right ads to the right user," Mayer said last week.